This web site is edited by The Grund Club a.s.b.l. For any question concerning this web site or its content, do not hesitate to contact us at the following Internet address: info@grundclub.com. The information provided on this website are for information purposes only and do not in any way constitute advice or a recommendation of any kind. Accordingly, the use of information and content available on all or part of the website cannot, in any way, engage our responsibility for any reason whatsoever. 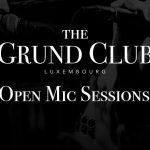 The Grund Club (Luxembourg) ASBL cannot be held liable for any direct or indirect damages which may result, for any reason, from the access or use of this website, and waives all liability in relation to the use made of the information published on this website. Any litigation related to the use of this web site will be submitted to Luxembourg’s law. Personal information is collected on this web site only by one’s voluntary registration for example by subscribing to a newsletter. The collected information will not be transferred to any commercial company or organisation in Luxembourg or overseas. In conformity with the modified law of 2 August 2002 on the Protection of Persons with regard to the Processing of Personal Data, you have the right to access, rectify or object to this information. To exercise this right, contact The Grund Club a.s.b.l (e-mail: info@grundclub.com).